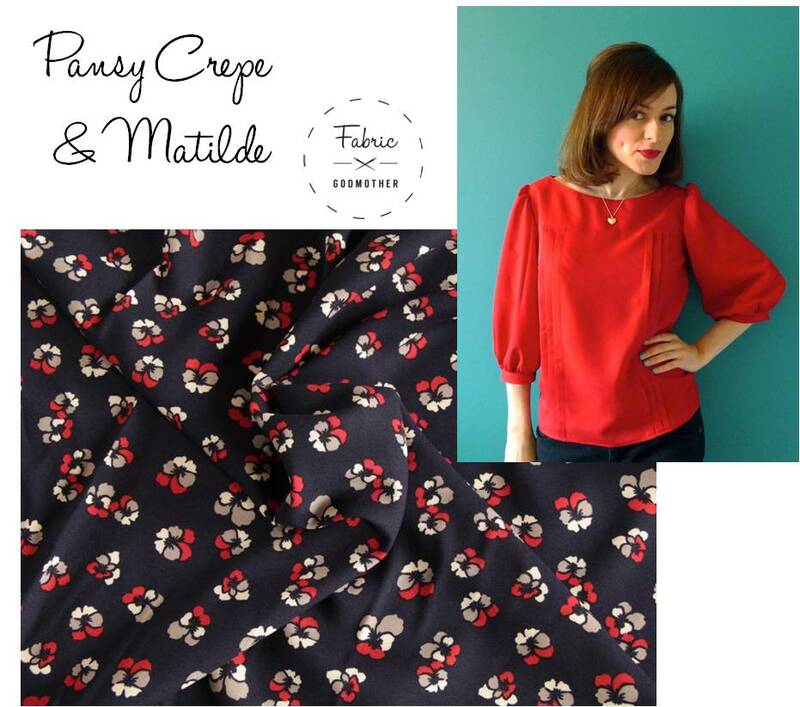 Patterned Viscose Crepe – Just Arrived From Italy! I think viscose is a bit of an unsung hero when it comes to fabrics. This Italian crepe is no exception! Viscose is made from wood pulp making it a natural fibre, this means it is very breathable and more comfortable to wear than cotton. It also takes colour very well so you can get some really vibrant prints on viscose. Good quality viscose also has a wonderful drape and plenty of weight to it. These autumn viscose crepe prints are ideal for a Shirt dress, a pair of culottes or a stylish shirt. 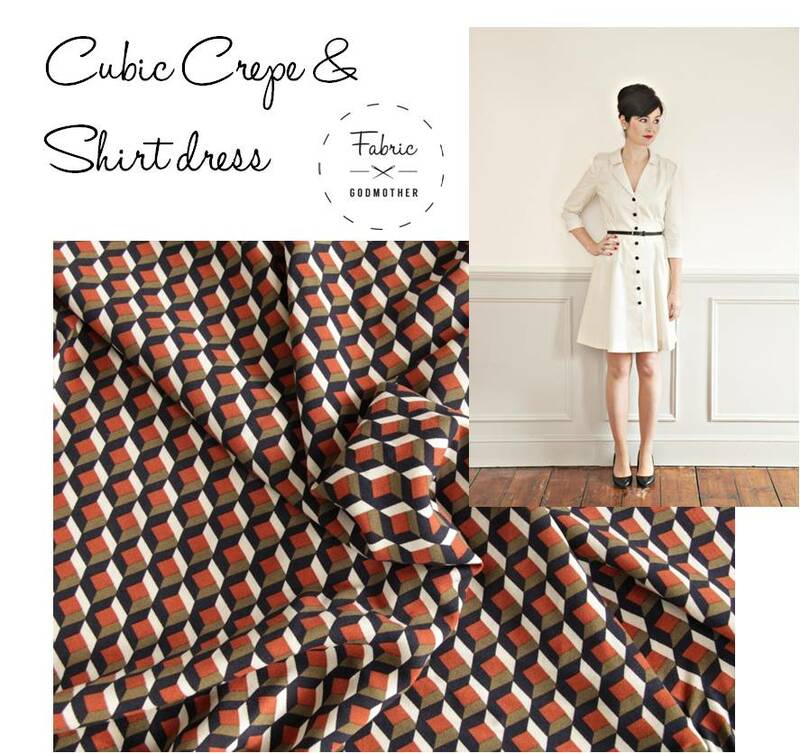 Wouldn’t this geometric Cubic print be stunning as a Sew Over It Vintage Shirt Dress? 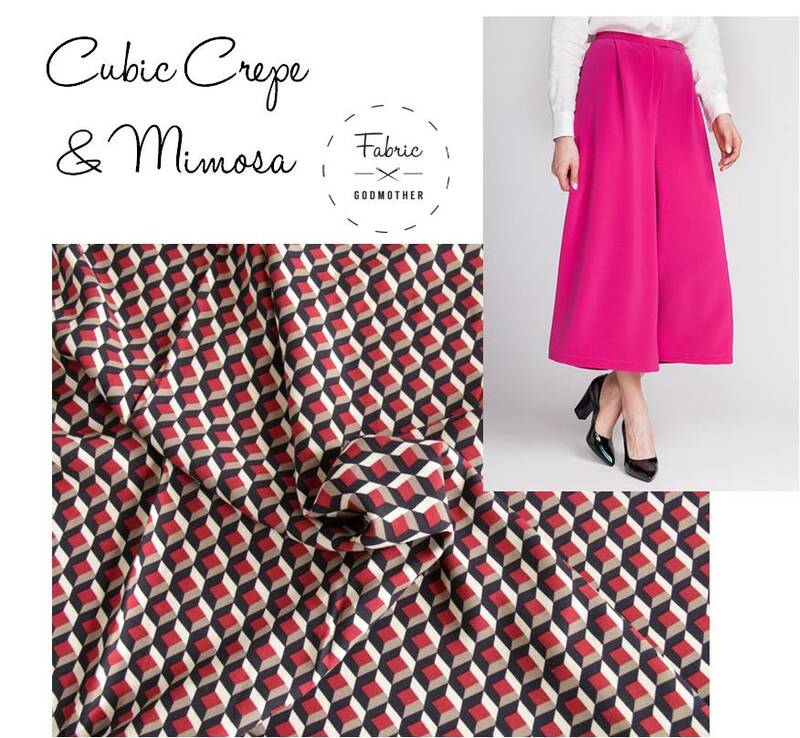 If you are feeling really daring, the Mimosa culottes from Named Patterns would be so striking in the blue and red version of the Cubic viscose crepe. Pair with a simple white shirt for maximum impact. The Dahlia dress’s pretty gathers would drape beautifully in the Pansy crepe, I really love pretty florals on a dramatic dark background and this dress is the perfect way to show them off. I have always been a huge fan of Tilly. Her very first pattern the Matilde Blouse is a great wardrobe staple, a version in the Navy Pansy print would go just as well with dark jeans as with a bright red pencil skirt. New Scuba – Embossed, Lace or Printed? Which will you choose?